Thoughts on a new trend – Unmoderated studies: When is it appropriate to keep a researcher in the loop? As I’m sure most of us can say, I have not always been a UX researcher. I began my career as a Marketing professional at an international technology company where I realized my passion for understanding how technology can improve the lives of those who interact with it. I pursued those interests wholeheartedly in my graduate education in Human Factors and User Experience research, which equipped me with both a deep understanding of the fundamental processes that shape human behavior and the practical tools to carry out meaningful research. 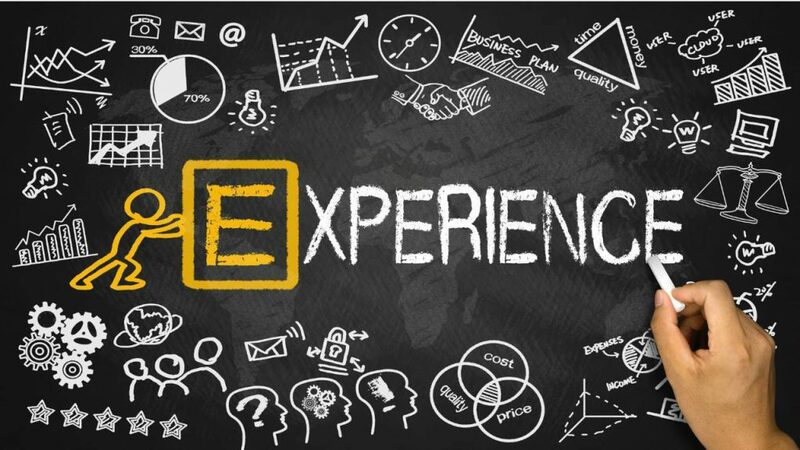 Although my path to UX may sound unique, I meet UX researchers every day who come from seemingly unrelated backgrounds (such as market research, communications, and anthropology) to answer the fundamental business question: How can we improve our customer’s experience and make our product (and brand) more engaging? From my perspective as a Marketing professional, I realized that a user’s experience with a product begins long before they become a “user.” It begins with their very first exposure to the brand – whether viewed on a highway billboard or a targeted news feed ad. Behind the scenes, Marketing professionals use these channels to set the stage for future interactions with a product or service, with the ultimate goal of capturing the attention of the right person, at the right time, with the right message. So the burning question on my mind was always: Why aren’t we asking actual users what those messages should be? The problem these days is not that there is a lack of information to help Marketers decide which message to put in front of potential customers – it’s actually quite the opposite! Marketing professionals have a seemingly endless supply of consumer information at their disposal. Device data logs, market research documents, web analytics reports, and purchasing records (to name a few) seem to point to trends in consumer behavior that tell you what is going on in your marketplace. The problem with relying solely on these historical data is that they do not tell you why your consumers behave the way they do. How do potential buyers weigh the cost-benefit trade-off of your product? Which features of your top-performing products excite your consumers the most? Which features are irritating at the least? Are your consumers using your new device in unexpected ways? Without knowing the answers to these all-important questions, you cannot begin to develop targeted marketing objectives that move the needle on the KPIs that should matter most to you. Fortunately, UX researchers are experts in answering these “why” questions and they have a plethora of validated methods for turning these insights into actionable advice for product designers. In the Marketing world, I have found that these same insights can be used to create marketing messages that resonate with prospective customers and prioritize marketing channels that deliver the message in a timely and relevant ways. When people think of UX research, they often think of usability – how easy is a particular product to use and how well does it help a user accomplish a particular task? However, UX researchers can tell you much more than where to place a particular icon on an app or what size your next tablet should be. Great UX researchers are also obsessed with understanding the needs that drive users to want to use the app, and the value that mobile devices add to their day-to-day lives. For example, is the order history feature of a marketplace app a necessity for storing those hard-to-remember products? Is the ultra-light, super-small form factor of a new tablet irrelevant if the battery life is only an hour and a half? Answers to these questions cut straight to the motivations behind purchasing behaviors, and offer a treasure trove of material for impactful marketing campaigns. However, only your potential customers can answer these questions, and the answers are only meaningful and valid if they are asked in the right way using the right methods. UX researchers utilize number of standardized tools to ensure that the insights gathered from users are valid and the data are defendable. Broadly speaking, these tools can be grouped into two main categories: (1) long-term (longitudinal) studies and (2) in-lab user testing. Longitudinal studies are conducted over a period of weeks or months, and are designed to capture how users interact with a product in their “natural” environment. For example, diary studies prompt participants to fill out short product surveys on a mobile device (on their phone, for example) as they are interacting with the device at home. These findings can then be used to create a complete customer journey map of their initial weeks or months with the product, where some of the most valuable impressions are captured. On the other hand, in-lab user testing consists of 1-2 hour sessions conducted in a lab setting where moderators can guide participants through a series of structured questions and/or surveys. These in-depth sessions afford trained researchers the opportunity to elicit meaningful (and unbiased) information from users about the product. Examples of user testing tools include Usability Studies, Focus Groups, Competitive Analyses, Card Sorting, and Attribute Mapping. However, as with any professional trade, the tools are only as good as the expert who is employing them, so be sure to consult with a seasoned UX Researcher before trying any of these at home. In my next article, I will provide an in-depth exploration of a tool that I have found to be particularly useful in the Marketing world – Attribute Mapping. Have you ever pushed a campaign that showcased the “latest and greatest” features of your cutting edge product, only to have the message fall short for your general audience (except for your early adopters who loved it)? Attribute mapping helps cut through the false perception that every new technology is marketable by identifying features of the product that would disappoint, those that would excite, and everywhere in between. As more and more businesses are recognizing the value of including users at every phase of the product design and development cycle, I would argue that the particular set of insights that UX researchers can provide are underutilized in the marketing world. Many UX researchers would argue that making a product more usable has the greatest impact on improving one’s experience (and engagement) with that product. Although I agree that user-centered design will help ensure that interactions with the product, service, or brand will be enjoyable, I would argue that the relationship with the customer begins long before that. First impressions are extremely powerful – every subsequent interaction with your brand is framed by these initial experiences – so why not start there? If you want to have the greatest long-term ROI, invest time in letting potential users tell you what is important to them first, and then craft marketing messages in ways that highlight those attributes.